Boats have been a part of my life for as long as I remember. When I was really young, my dad would take me fishing in a small flat-bottom boat at a slough off the Black Warrior river. It didn't have a motor, so we'd paddle around on water as flat as glass. We'd nose into some lily pads and dad would fish for bream, perch, and small-mouth bass. Later he bought a small plot of land on the banks of the Warrior and we built a small cabin. By that time, he'd saved money and bought a 14' V-bottom aluminum boat with a small Evinrude motor. I learned how to water ski behind that boat. I was driving that boat long before I was old enough to drive a car. My dad was comfortable enough with my skills that he'd lie down in the stern and look up at the sky and the canopy of trees hanging out over the river while I captained the boat. Back in the 1980s Jilda and I met Tom and Judy Camp. They had a place on the river, and they also had a boat. We spent many weekends on the water. 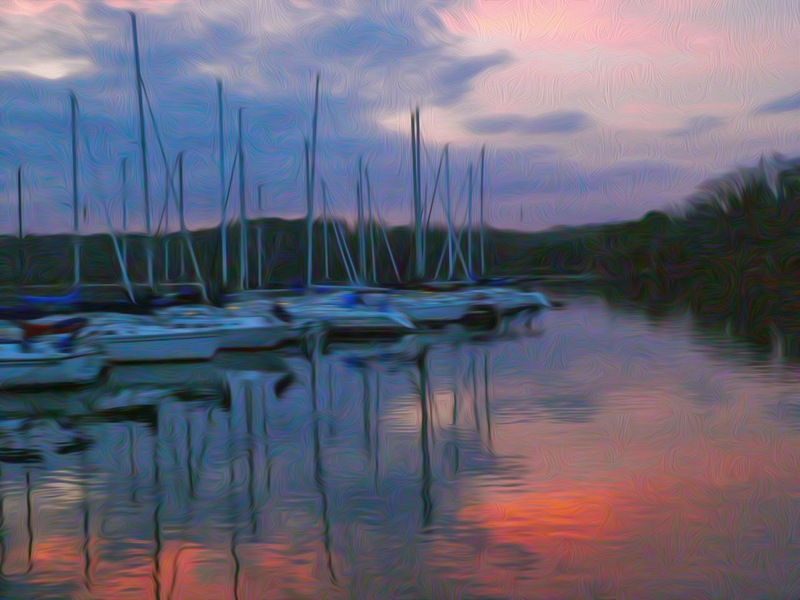 Tonight as I looked for a topic, I came across this picture of docked boats that I took several years ago when Jilda and I spent the weekend at Wheeler State Park in north Alabama. It's what gave me the idea to write about boats. I like how those old memories made you weave a beautiful story. It is truly amazing. I can imagine the level of your happiness that time as a captain of the boat with only a passenger, your Godly father. hehe. That picture is evocative of the mood of the piece. I've never spent leisure time in a boat. Oh ya that takes me a long way back. We also have an evinrude. and pulled my boat across the river every day for exercise. Those were my best summers sitting on this boat with my dog. We had the best times back then Today we can't do those things anymore. Too many people and too many laws. This is going to sound totally crazy but I've only been on one boat in my entire life. I must rectify this! What a beautiful picture! You are so right about being on boats, but the where is just as important as the how. Lake Michigan can get pretty rough at times for anything other than a larger boat or vessel. But a boat on a river sounds peaceful for sure!